Your little one can engage in some thrilling prehistoric roleplay with the The Corps Jurassic Clash Beast Strike playset. Featuring a highly detailed 30cm Dinosaur with awesome light and sound features,and various accessories and vehicles, this set is a Jurassic good time. The 30cm dinosaur figure has a huge chomping jaw and terrifying red light up eyes and roaring sound effects. 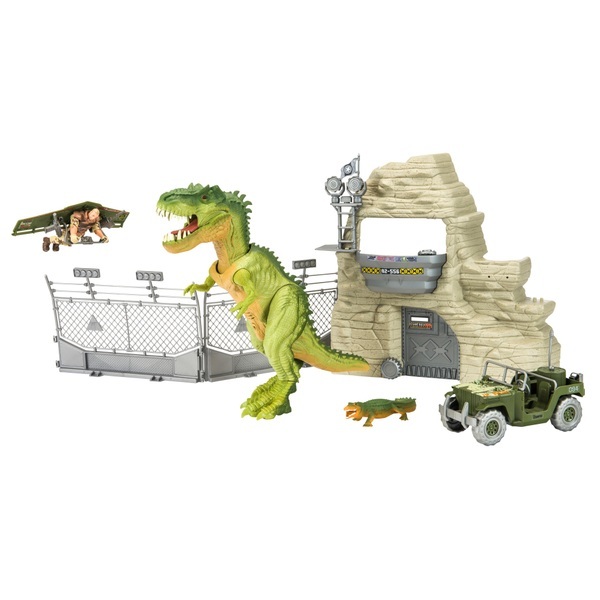 With the included accessories, you can protect the action figure from the terrifying dinosaur on the 35cm mountain base with a working door and observation desk.